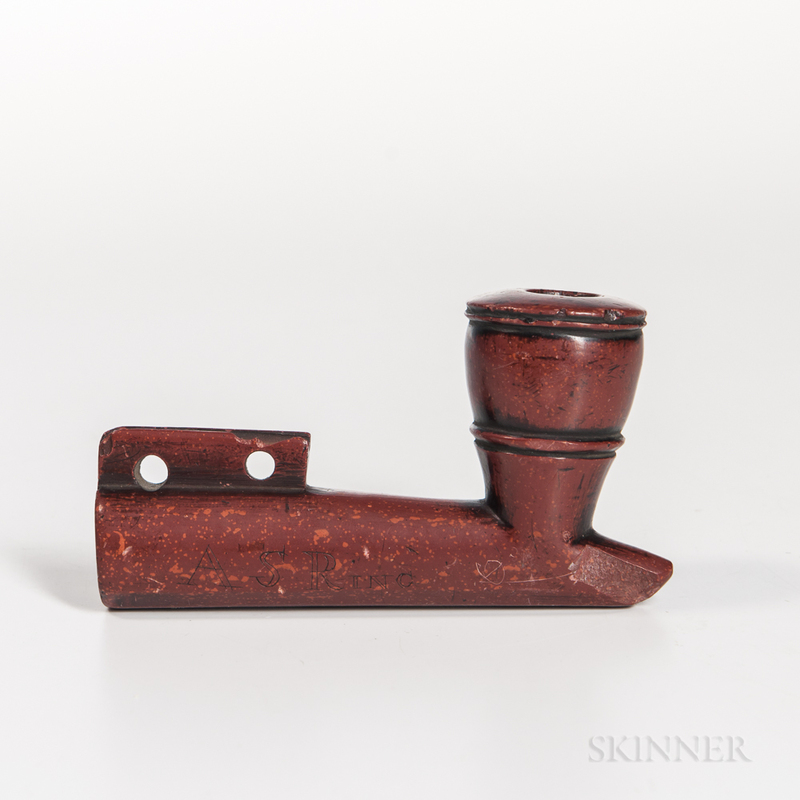 Plains Catlinite Pipe Bowl, c. 1840-60, the catlinite bowl with short prow, flared toward the top, with ringed details, with a projection pierces with two holes, "A S Ring" inscribed on one side, (chip to end and projection), lg. 4 1/2 in. Provenance: Private collection, Oyster Bay, New York.